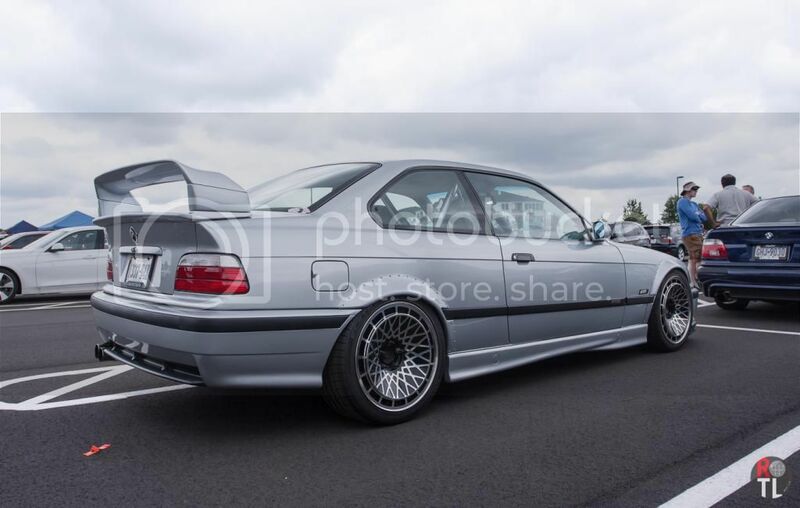 Image courtesy of AP at Bimmerfest East 2014. Full-Res. The F1 season is in the final stretch and it's looking more and more likely Hams will not only need some misfortune to go Rosberg's way, but also some misfortune to go Ricciardo's way. Hamilton has another painful DNF, which to most onlookers at Spa, looked like Nico took him out of the race on the first lap after being bested on the start. Of course there's no telling whether a puncture will happen when a front wing touches another drivers tire and there have been plenty of Hamilton passes that have resulted in him touching other drivers with his front wing; the timing of it was horrible though and I believe that's where most of Nico's Spa podium boo birds were on about. While Hams is now 29 points back from Nico, Ricciardo took his third victory and has wedged himself securely in 3rd, 64 points behind Lewis. Vettel drove well enough in qualifying, but once again Ricciardo out raced him when it counted. Bottas continues to be consistent, putting himself on the podium in 3rd during this race, without a doubt taking the lead driver position in Williams over another sub-par drive from Massa. Lastly, Raikkonen looked the strongest in a Ferrari that he has all year. Now that the smoke has cleared there are we seven races left. We have a double point final race at Abu Dhabi which could potentially put anyone in the top three on the driver's championship throne. Italy should be a wild one. Weather at Monza this time of year is usually mild and Ferrari is home to face the tifosi in person with all the hopes on Alonso and Raikkonen to make waves at home. Enjoy your weekends. Jaguar takes the F-Type creates a throw back to its racing past. Let's take a look at the Jaguar F-Type Project 7 and in contrast its ancestral tree. The crew at Crank and Piston bring us a short-film on Liberty walk's founder Kato-san and one of his latest builds, completed in Dubai; an Oakley Design Ferrari 458. XCAR interviews past and present Porsche race drivers to discuss why the brands participation in the Le Mans 24 Hour race is important to motorsport.